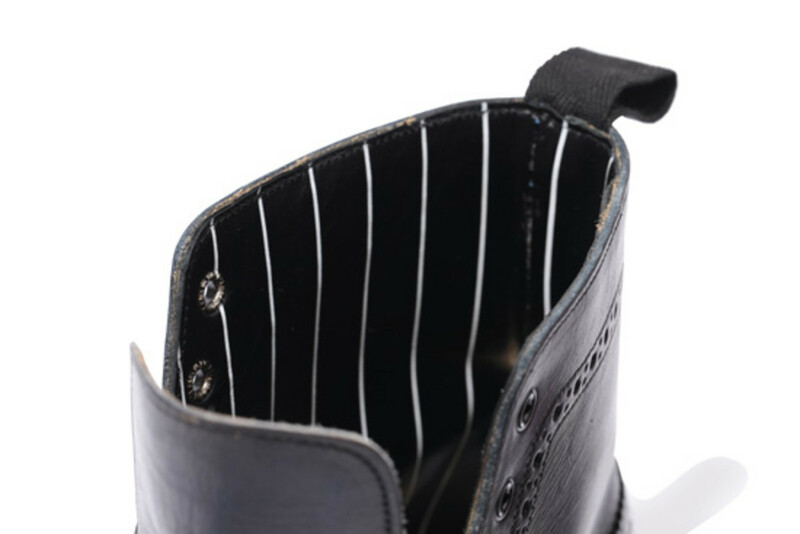 is venturing into an offbeat route with their project. 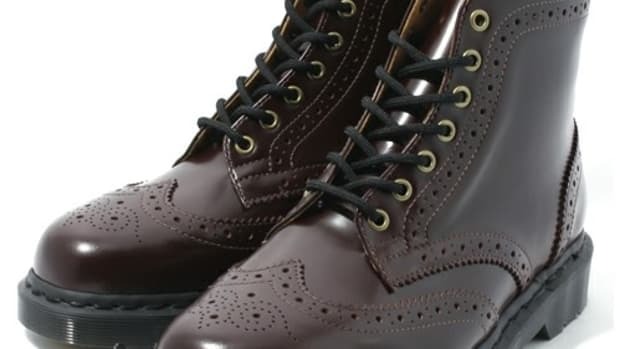 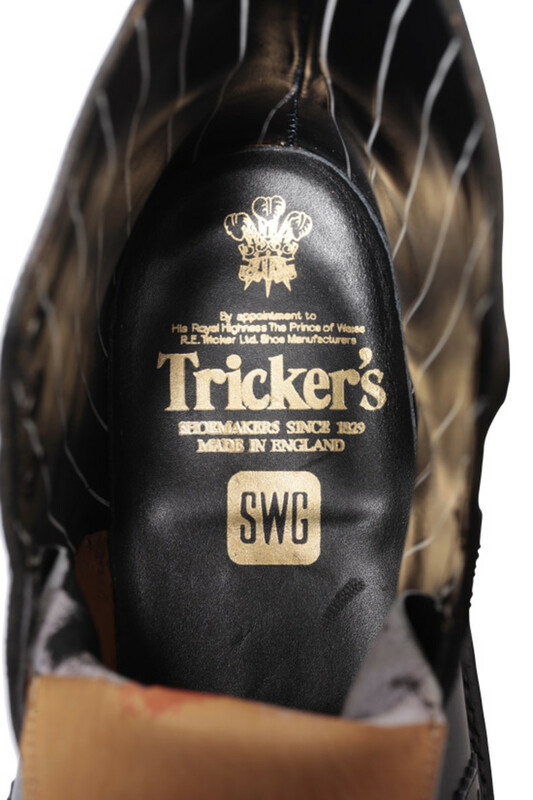 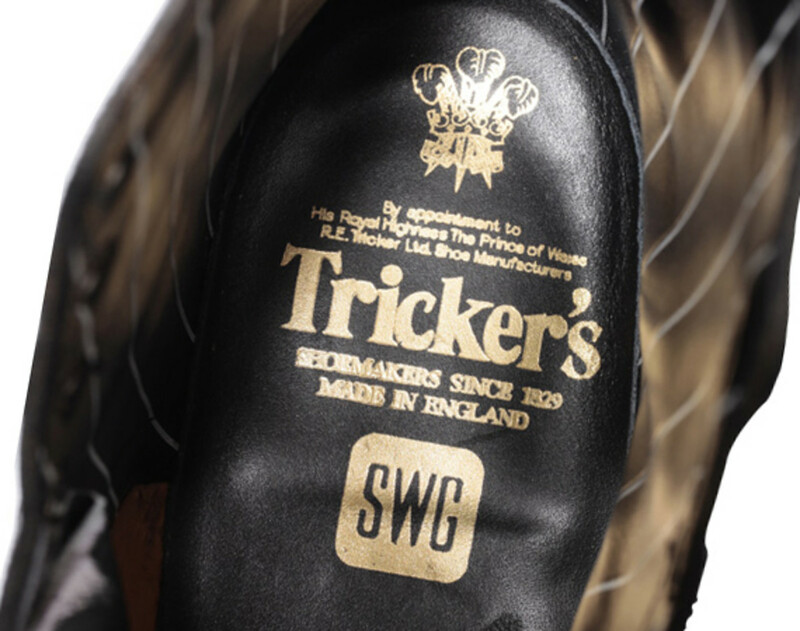 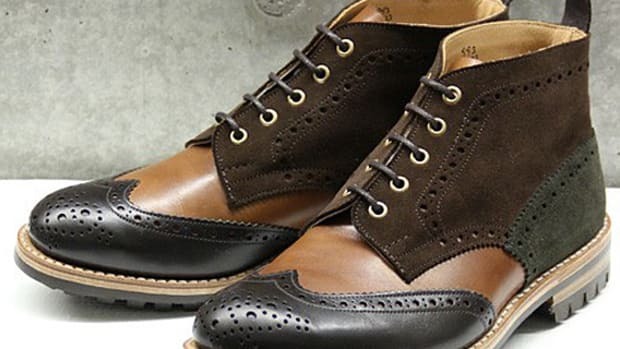 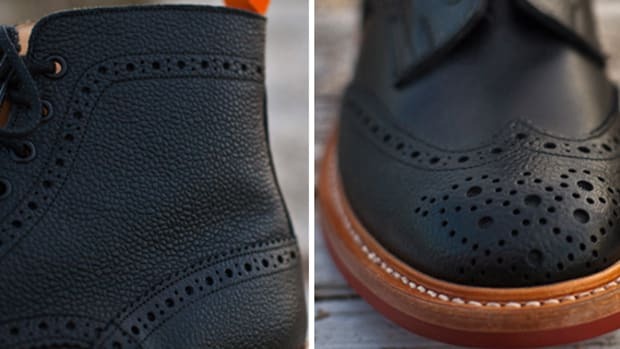 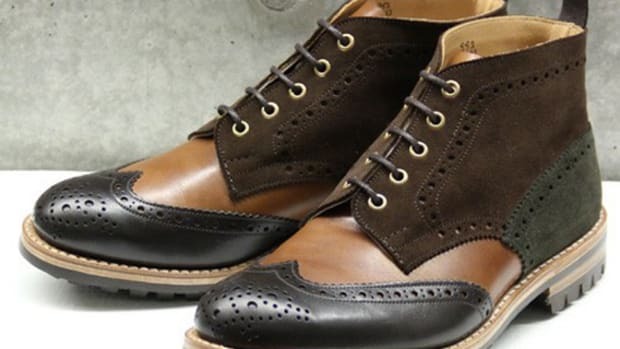 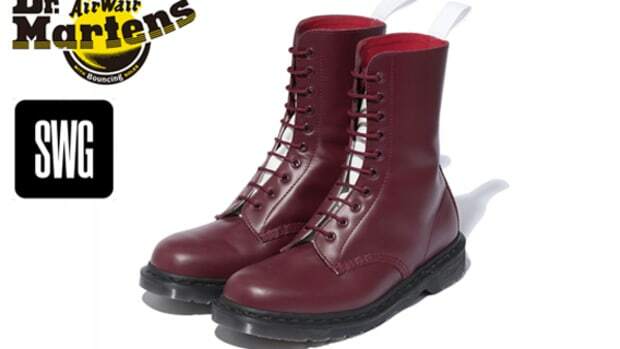 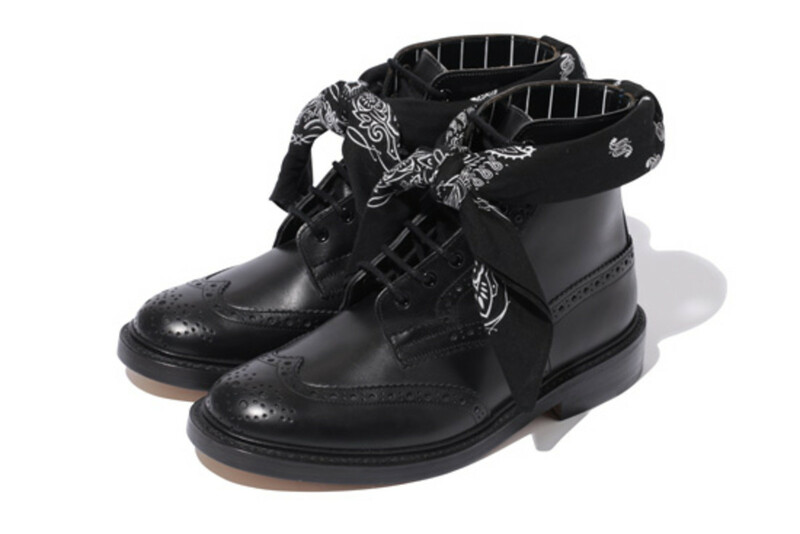 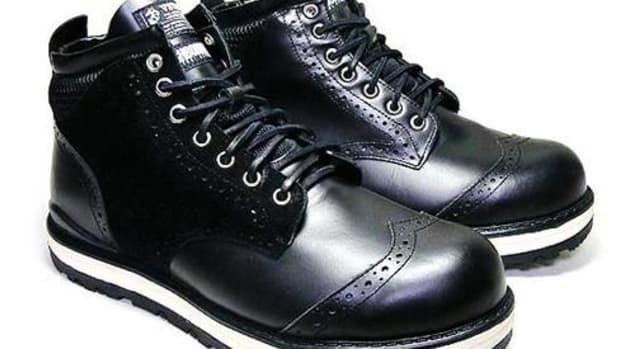 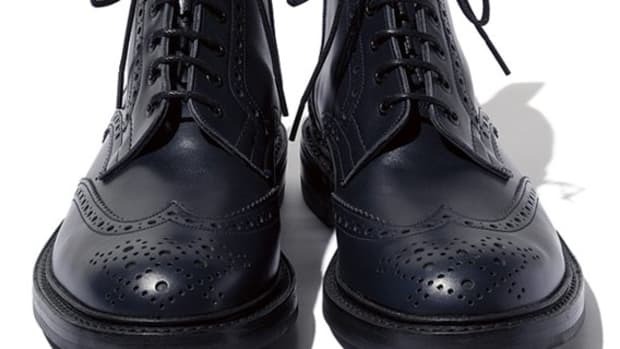 The selection of a 7-hole wing tip boot style does not come as a surprise, though the details on these boots are quiet unique. First and foremost, visual impact is created by a bandanna that wraps around the ankle portion of the boots. Furthermore, an eye-catching red boot is included amongst the trio of boots made up of classic black and navy pairs. 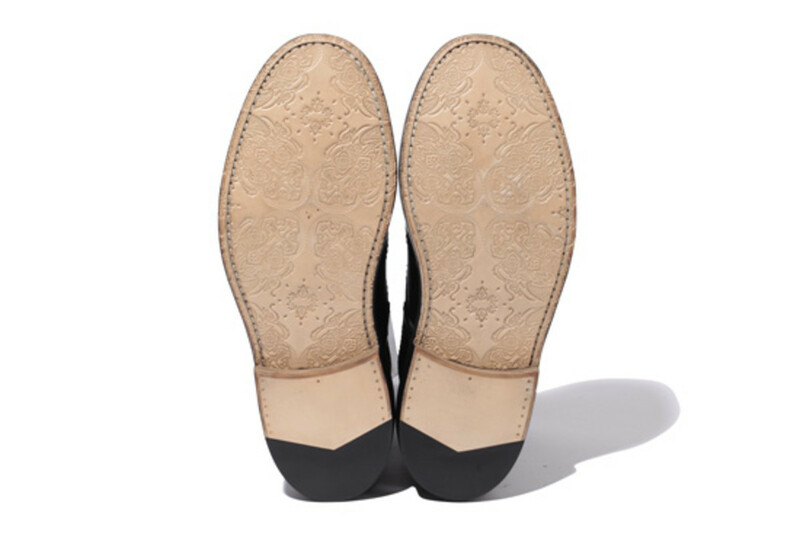 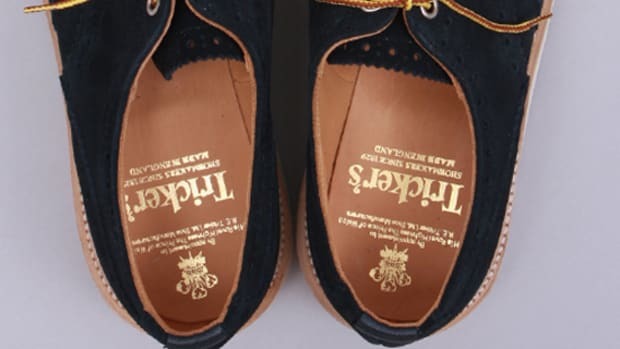 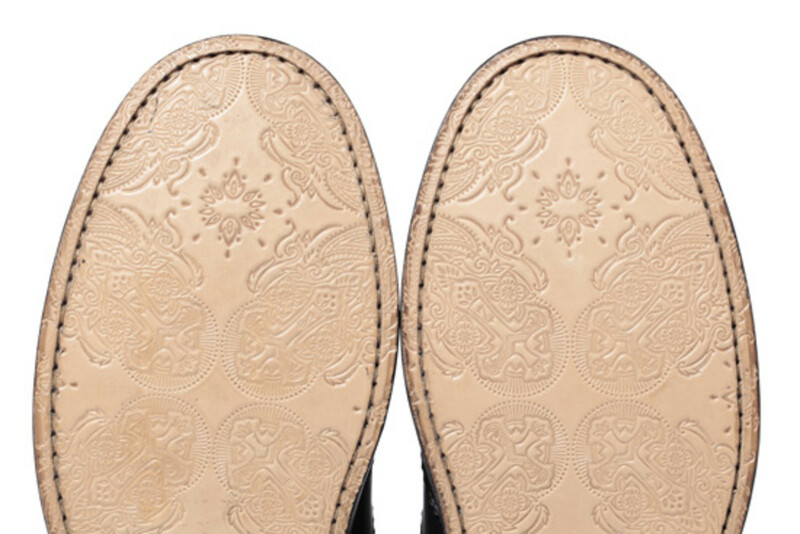 Last but definitely not the least, the usually smooth leather soles have been embossed with a custom-designed pattern.